* Juicy watermelon is the ultimate summer beauty food, since it carries antioxidants like lycopene which helps skin cope with too much sun exposure. 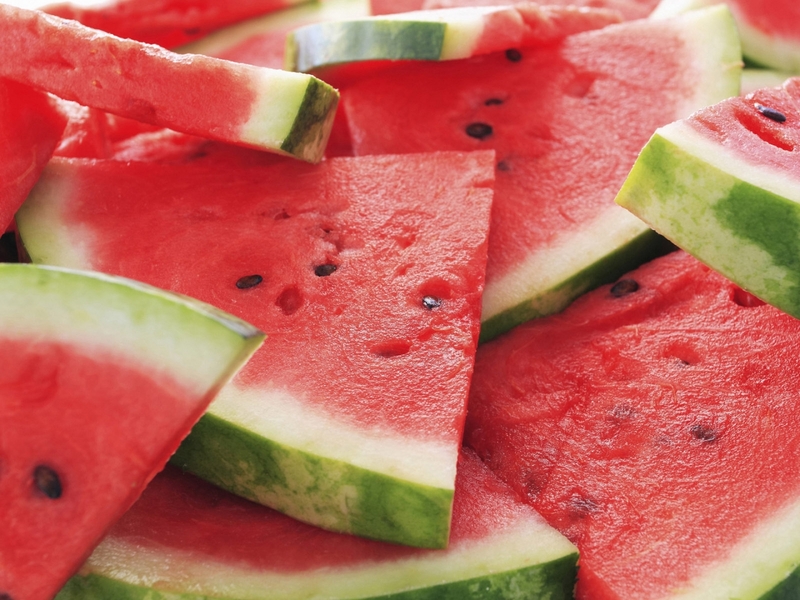 * Watermelon also hydrates with electrolytes, thereby keeping us dewy and glowing. * Fresh mint has cooling properties while aiding digestion. * Lime has more vitamin C than an orange. How to make it: watermelon, ice and a dash of water or so, for extra roughage keep the pips in, add fresh lime and mint for extra vitamin c lift and cooling mint for the mouth and nervous system. Tip: Freeze the watermelon first for an icy touch to your smoothie. “If you can keep your head when all about you are losing theirs…” (Rudyard Kipling. 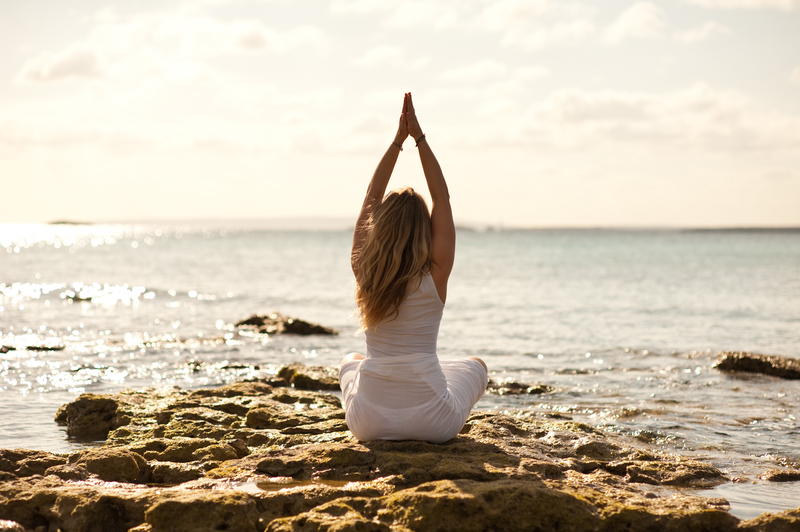 By choosing a yogic way of life, we choose to live by certain principles. As one season flows into another, we look at those changes and with a slight shift of our techniques and practise – we commit to keeping our bodies and minds fit and adapting to the changes. We asked the team here at Ibiza Retreats and here are our favourites. 1. Stick your tongue out and curl the sides of the tongue upward towards the center of the tongue. 2. Breathe in through the mouth, hold the breath and slowly exhale through the nose. You’ll find your body temperature cooling down. #2: Stay hydrated – water is life! * Fresh mint tea – just hot water and fresh mint – then cool it and ice it! * Practise these very early or later than usual when it’s cooled down. * Avoid excessive or overly-strenuous asanas when it’s extremely hot. Or even more reason to practise earlier or later if you need your strong practise. Be kind though to your body! * Don’t rush – take your time over your food and set time aside to avoid putting undue stress of your digestive system and organs. * Fatty food ensures the heart and digestive system have to work harder, so go light with your food. Salads, fresh veg are abundant this time of year and are perfect stay-cool foods. So many of our Clients find peace in this beautiful posture and we swear by it! After a long day – especially when it’s hot, it’s so important to calm the systems of the body down – including the mind! Basically – the translation of Viparita Karani is “legs up the wall”. We call it “legs up the wall (or anywhere else we can find)”. This pose helps the old blood and lymph fluid drain from the feet as well as asking gravity to help the heart return the blood back to be oxygenated. It also calms our old friends the adrenals. Cover your eyes with an eye-bag sprinkled with a few drops of lavender oil. Add a blanket or bolster under your sacrum to really give the kidneys some love. This pose can be done anywhere, yet soft music and low lighting can add to the soothing experience. Including your preferred combination of: Life & Wellness Coaching to re-empower and redefine a healthier, happier life path with practical back-to-reality strategies, rejuvenative Yoga and Pilates. Add Osteopathy, Nutritional Consultations, Dance, Qi Gong Tai Chi if you feel the need. Experience inner-strength, new life insights, greater body-mind awareness and confidence in yourself, in your purpose, so you can enjoy walking (or dancing!) along your life path. 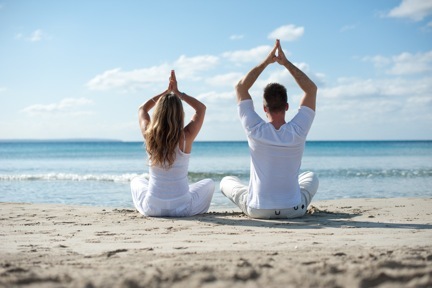 * prices depend on choice of retreat accommodation, treatments & therapies and number of nights’ stay. Read more here or email us to book your you-time.